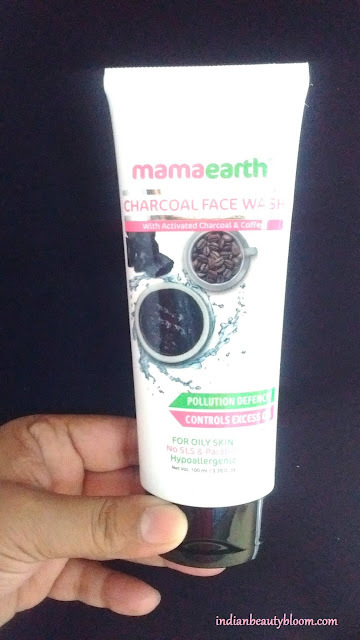 Today I will review a new face wash from brand Mama Earth . 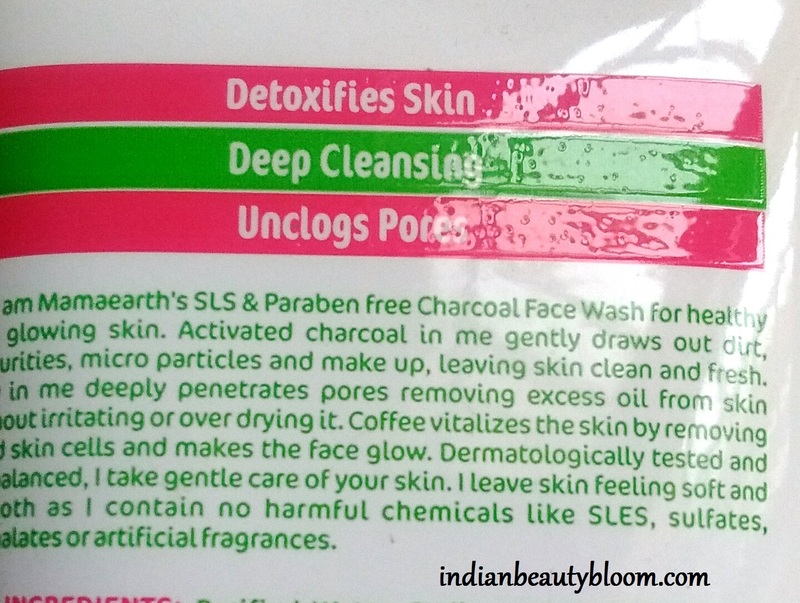 It’s Charcoal Face Wash with activated charcoal & coffee . I have used several Mama Earth products and found them good . This face wash is oil control & pollution free face wash with charcoal & coffee . It’s hypoallergenic and SLS & Paraben free . It’s a black color face wash with fragrance of activated charcoal . Little amount of it is sufficient to clean face and it lathers well . It has a tube packaging so one can easily squeeze out little amount of it and use . 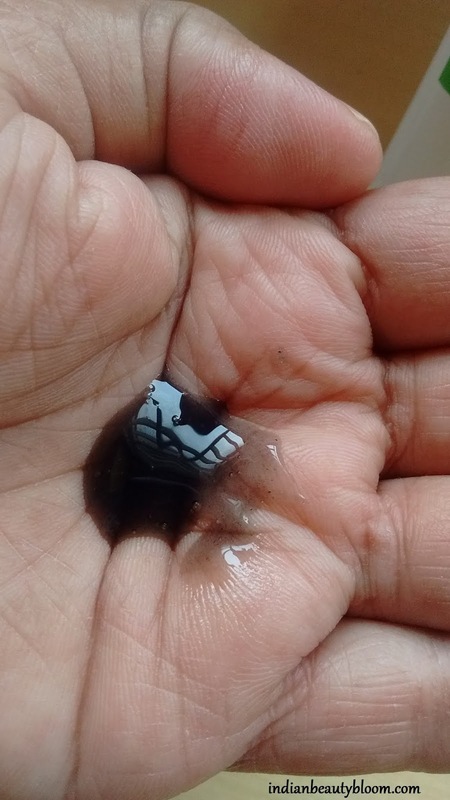 It has a great ingredient list like Activated Charcoal ,Coffee ,Glycerin , Aloe Vera extract , Cedarwood oil all of which are good for Oily skin . * Detoxify skin — Activated charcoal in it detoxifies skin . * Controls Oil Secretion — Clay in it controls excess oil secretion. * Unclogs Pores — Activated charcoal & clay unclogs pores and draws impurity from skin . * Dermatologically tested product , free of SLS , Paraben , Artificial color & fragrance . * Great ingredient list . * Thoroughly cleanses the skin and removes all dirt , oil from face . * Unclogs pores and cleans skin from inside . * Controls oil secretion from skin . * Easily available on online stores like Amazon , Nykaa . I am using this face wash past 2 weeks . Suited my skin which is Oily . It does clean the skin thoroughly and skin feels oil free and good after using it . Regular usage improves skin condition . It makes skin healthy & glowing . 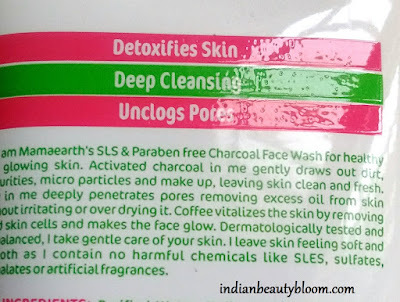 Hope you all liked this post and found it useful , do tell me if you have used this face wash .